2. 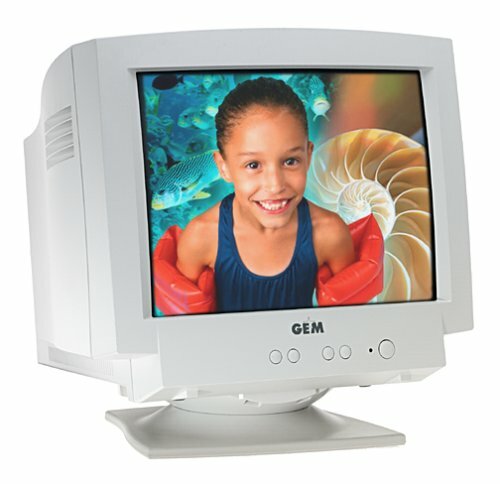 3G Technology GM-1556 Gem 15"
4. 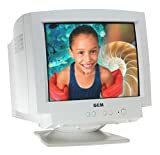 3G Technology Gem GM-1770 17"
The 12-pound Gem GL-556a monitor is a lightweight machine with a mere 7-inch total depth. Fitting handily into the smallest office space, the panel and base are detachable, offering opportunities for wall or arm mounting. Totally free of flicker or static, the GL-556a's images come through clear and sharp, with the 1,024 x 768 maximum resolution and the 75 Hz refresh rate. A touch screen system is also available for this monitor, making it an excellent choice for point-of-sale operations. The 3G Technology GM-1556 Gem 15-inch monitor is a solid value, with astraightforward set of features you'll actually use and enjoy. Installation isas simple as it should be for an entry-level unit. Slide it out of the box,connect it to your PC, and you'll be up and running in five minutes or less. Thetilt/swivel base attaches to the bottom of the monitor with swift ease. The operation is standard; you'll usually just turn it on or off. A menu buttonalso displays onscreen controls to alter brightness or contrast. We pushed boththe brightness and contrast well beyond normal values to see how the unit wouldperform, and we were impressed with the resulting visible range. Other menuoptions let you access controls for the screen's vertical and horizontalposition and size, as well as correct any geometric or color distortion. Arecall button allows you to return quickly to the company's default settings,which we found were actually the best settings for regular usage. 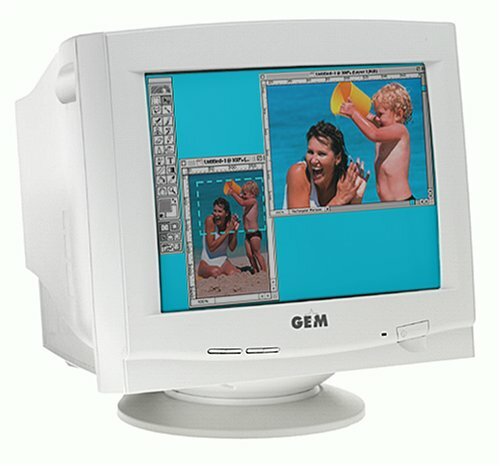 The Gem GM-1770C 17-inch flat-panel color monitor is great for the home or small office. It offers a 1,280 x 1,024 noninterlaced high-resolution display, and its crisp and precise images are delivered via 0.25-millimeter dot pitch. The viewable screen area is 16.02 inches (diagonal). The monitor surface has an antistatic, antiglare screen coating, which helps prevent eyestrain. Advanced digital onscreen controls allow you to tailor your own settings for your own needs.